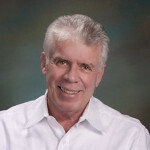 March 19, 2019 by Brian Horwitz Last updated Mar. 24, 2019 THIS POST MAY CONTAIN AFFILIATE LINKS. PLEASE READ OUR DISCLOSURE FOR MORE INFO. If you are in the construction or home services industries, you know that the competition is fierce when it comes to getting new customers. No matter how good your business is, it will suffer if you don’t implement a smart digital marketing strategy to help attract new leads while maintaining your relationship with current customers. Traditional offline advertising techniques that worked a decade ago are no longer effective especially as the growing trend of ROBO (Research Online, Buy Offline) continues to take over the consumer landscape. A recent study done by BrightLocal shows that 86% of consumers read online reviews for local businesses before making a buying decision. That's a pretty big deal when you stop and think about it. 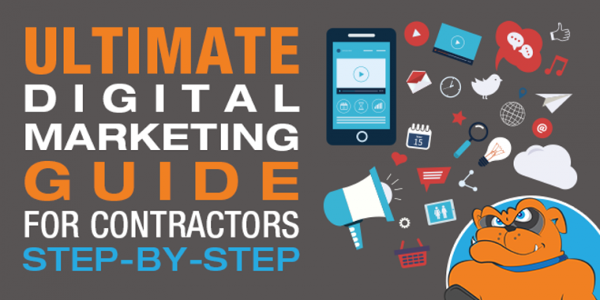 That’s where this targeted digital marketing for contractors guide will come in handy for you because building an UNSTOPPABLE Lead Generation Machine and a sturdy fence around your customers for your service business is no small task. But when those two critical pieces are in place and your company starts gaining real momentum, hold onto your seats ladies and gentlemen… it’s gonna be a profitable ride. Generate a consistent flow of cold targeted traffic to your website and other branded properties online. Convert interested prospects into leads and appointments on autopilot. Increase the amount of repeat sales and referrals your business generates. As you make your way through the guide, you may start to feel overwhelmed. Don’t worry … this is completely normal. The important thing to remember is to “keep moving forward.” This digital marketing stuff is not easy to comprehend for the layman and may bring about some questions. If you get stuck along the way, my team and I are here to help! Feel free to get in touch here. If you’re excited to get some help implementing the strategies laid out in this guide for your business, it would be a smart idea to book a Complimentary 30 minute Strategy Call to help figure out how to best approach your company’s digital marketing game plan. Current Status Audit — What does your company’s online presence currently look like? Do you have a website? Social media accounts? Online reviews? Are you listed in any business directories? List out any and all places you are currently found. Also, what problem areas are present in your current situation? A poor reputation? A dated website? Lack of consistency with your brand and messaging? Get it all out on the table so you know what you’re dealing with. Keyword Research / Discovery — One of the most important first steps for your digital marketing, keyword research is how you keep your finger on the pulse of your audience. Your keywords are the ‘seeds’ that grow an effective SEO campaign. But more than that, keywords are the foundation of all your digital marketing efforts because they determine what your company is known for. Choose them wisely! Need a starting point? 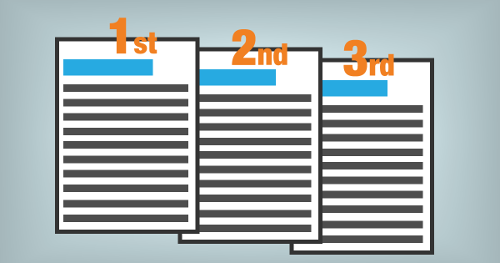 Check out Backlinko’s definitive guide to keyword research. Want extra keyword research horsepower? SEMRush and Ahrefs are extremely helpful tools to use. Competitive Analysis — It’s key to reverse engineer successful competitor campaigns to see what is working for them. While it may feel like cheating, it’s not. Most savvy marketers do this to find out what’s working and what isn’t when it comes to digital marketing for people searching online for contractors. Take a look at what your competitors are doing successfully that you can ethically ‘swipe’ and make better for your business. Develop Your Perfect Customer Avatar — Who is your ideal customer or client? Where do they live? What kind of vehicle do they drive? What inspires them? What frustrates them? The more specific you are here, the better; this information will be leveraged for every aspect of your digital marketing. Determine The Investment Needed To Have An Impact On Your Bottom Line – How much time and money will it take to reach your online marketing goals? If your aren’t sure, an experienced digital marketing firm that specializes in working with home service businesses can help you determine the answer to these questions based on your business goals. Important: Doing this step without cutting corners will dramatically increase your chances for success. If you do decide to cut corners in your initial planning stage, your campaigns will most likely not perform to the level that you were originally hoping for. Just the facts. According to Statista, in October 2018 Google generated just over 63% of all search queries done in the United States, which means Google is kind of a big deal when it comes to online visibility. 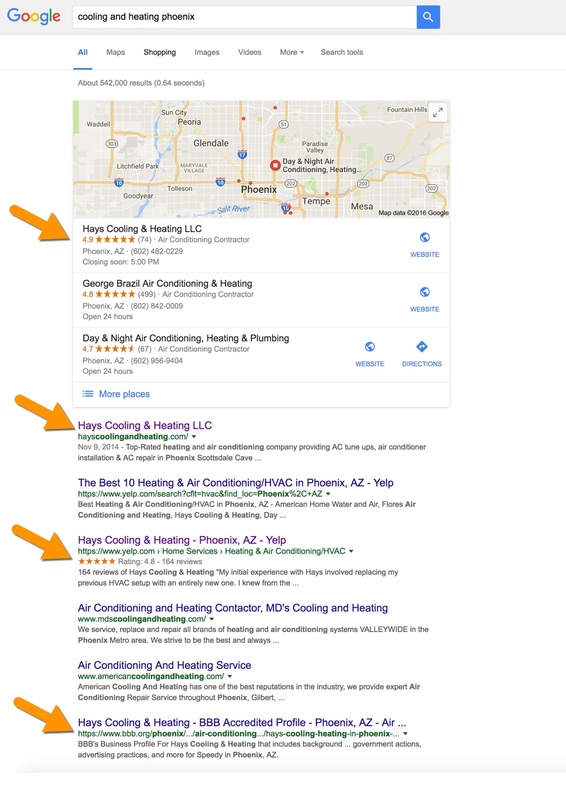 One of the first steps any contractor, construction or home service business should take (if you haven’t done so already) is to claim your Google My Business listing. This is the listing that helps to control what pops up when someone does a search for your business. If you don’t claim your business, you have no control over all of the valuable information you can potentially insert into your listing to connect better with your target audience and help your business rank better for target keywords in Google results. 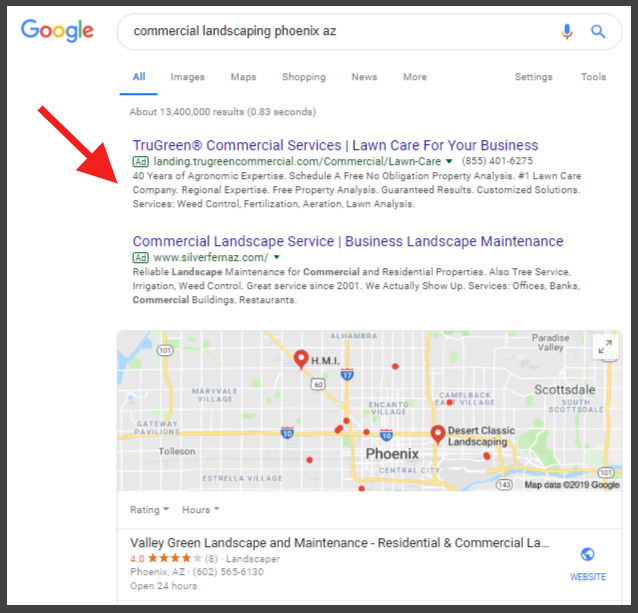 Google My Business is your business location’s most critical business listing online, and it is from this listing that you can manage how your company’s information is displayed across Google, including Google Maps and Search. Be sure to complete your Google My Business verificaiton before moving onto the next step of in-depth optimization. Add all applicable categories. Be sure to set your most important category as your Primary category. Fill out the entire description. Add company highlights and special attributes. Add website links and contact information. Add images. Google loves images. In addition to tackling your Google business listing, you’ll want to set up a Yext Powerlistings® account for each of your locations. 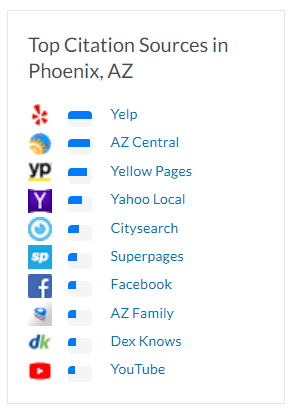 Yext is a paid platform, but their Powerlistings® allow you to sync right into 60+ of the most important local business directories, GPS directories, and mobile directories that your company needs to be present on such as Yahoo, Bing, Superpages, Mapquest, and many more. If you don’t do this, you would have to claim and manage all listings manually and individually. Yext helps you work smarter, not harder through this step. If you have had multiple business addresses, phone numbers and/or business names, this is a great way to help clean up a dirty digital footprint for your business in a few clicks of your mouse. This won’t clean up everything online, but it will be a major timesaver versus cleaning up outdated information from your listings separately. Bonus Tip: Don’t forget to leverage the entire Yext Knowledge Center to maximize your organic optimization opportunities. Pro SEO Tip: Depending on each business, it may make sense to “Opt-out” of a Yext listing so your team can manually manage a specific account instead of using Yext’s more generalized approach to completing dozens of high authority sites. This is not uncommon to see with Google, Yelp, Apple, Etc. Avoid using generic stock photography. Develop and install a favicon. Be sure content sections are laid out in an easy to scan way. Do not use conflicting fonts. Do not use image carousels. Make adequate use of whitespace. 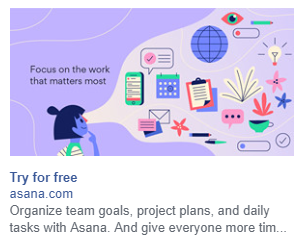 Do not center your website logo. This makes it more difficult for visitors to find the home page again. Be sure the navigation menu is visible – no floating navigation menus. Do not use animated navigation menu actions. Size and scale images appropriately. Avoid large image files that will slow down the site’s load time. Choose a premium website theme. The WordPress platform is the most appropriate for most service providers as it is the best overall website platform today. If you are having a WordPress site built, we recommend using a premium WordPress theme. We use the Genesis framework by StudioPress. ThemeForest is another great option for premium themes. Pick the best hosting for fast server response time. Try not to invest in the cheapest hosting package, but rather the best performing option for your situation. 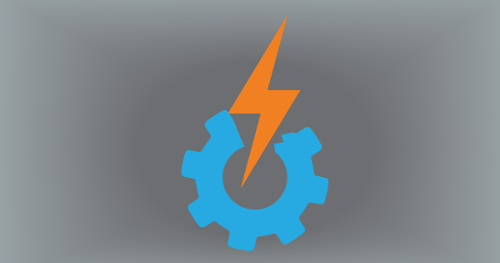 Choose the hosting provider that will help your website be lightning fast while also having fast, reliable customer support. On the low-end, we recommend clients to Host Gator. For premium hosting, including managed hosting plans, we recommend (and use) Liquid Web. Use clean and simple website architecture. Ensure your website works on all modern browsers. Compress images to remove redundant data. Improve the text copy on each page. This is more important than most people think. Make the font big enough for easy reading. Don’t use slider images on home page. Add multimedia to pages, including videos, infographics, slide decks, etc. Make interface actions easy on all device sizes — such as click to call, social sharing buttons, maps, email, filling out forms, playing a video, etc. Add social proof – testimonials, case studies, etc. Use trust seals to help bridge the trust gap between your company and your prospective client or customer?. Include your phone number and make it easy to read. The general rule of thumb is to make sure your phone number is present at least 3 times on every page, including in the header and footer of the site. Integrate the click-to-call action for all phone numbers on your site so prospects can easily click-to-call from their phone. Make all forms easy to get to, read, and use. Ensure all website forms lead to a “Thank You” page after they submit their form answers. This is critical to being able to track lead conversions in your website analytics reports. Use direct response advertising best practices in order to create urgency in your offer(s)—giving your website visitors a strong reason to act right away. For the 98% of website visitors who do not do anything on their first visit, be sure to add a lead capture system to be able to still capture the information of prospects who are not ready to buy the moment they visit your website. By at least capturing a prospect’s email, you can automatically follow up with relevant information via email to encourage your prospect to do business with you and use your services. This is a critical step most businesses overlook. If you don’t have one yet, a professional website is a critical piece of your digital marketing plan. There are a couple different paths you can take when it comes to developing a website. Hire someone to set up a professionally built website in WordPress or another publishing platform and then manage it yourself. These self-service websites can be relatively inexpensive but will require you to do the heavy lifting when it comes to SEO and lead generation. 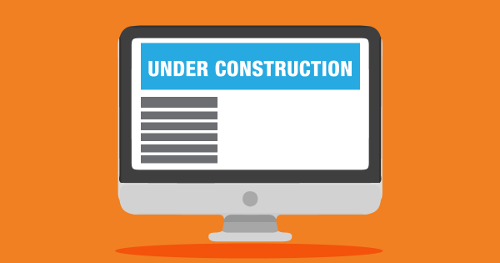 Have your website professionally built and managed. This is the most expensive option, but you can choose packages that include SEO, PPC, and other digital marketing services. This allows you to put your small business’s website management and digital marketing in the hands of the professionals, freeing you up to focus on providing great home services to your customers. Regardless of how you do it, having a professional looking website is not optional if you really want to stand out in your industry. This step should be done as soon as possible. 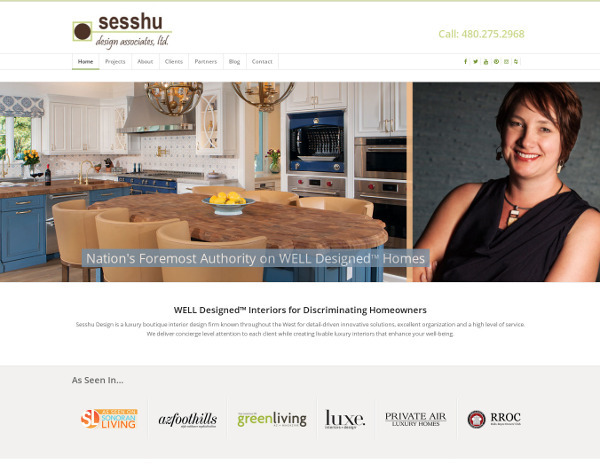 Warning: Do not build your own website using Wix, Squarespace, or any another DIY website builder if you can avoid it. This is may be cheapest route for sure offering you easy-to-use drag-and-drop features, but these types of website platforms are terrible choices if you’re looking to build an Unstoppable Online Lead Generation Machine for your business. Money-Saver Tip: Need to purchase a domain? Secure a brandable domain name from Namecheap right here. When you purchase a domain name on Namecheap, the domain comes with free WhoisGuard subscription forever to protect your information from spammers. Great website content is key to a website that converts. Have you ever landed on a website only to find outdated information, or a lack of information altogether? Frustrating isn’t it. More than that, it reflects poorly on your business and will drive visitors straight to your competitors in a matter of seconds. Quality, relevant content (text, video, images, audio, and more) offers value to website visitors and encourages them to follow your call to action. The content you need will vary depending on your typical customer and sales cycle. If your home services or contracting business is HVAC, painting, roofing, or the like, that’s considered a short-term project. Your website should focus on providing clear, to-the-point information that gives a website visitor everything they need to know to make a quick decision. However, if you are a home builder or remodeler, your sales cycle is much longer. While you will still want to clearly and concisely lay out important information about your services, you will also want to educate potential customers on the process and get into more detail with your services. Bonus Tips: Many business owners don’t have the spare time (or inclination) to crank out written content for their website pages. If this is you, we suggest enlisting the help of professional writers at a reputable freelance marketplace for orignal content. Upwork would be a great place to start your search for a quality writer. Also, be sure to use high quality images and graphics to give your website a professional appearance. If you won’t be using a professional photographer, we recommend using DepositPhotos for high-quality royalty-free images that are legal and licensed. Also, be sure to highlight your work with a gallery. 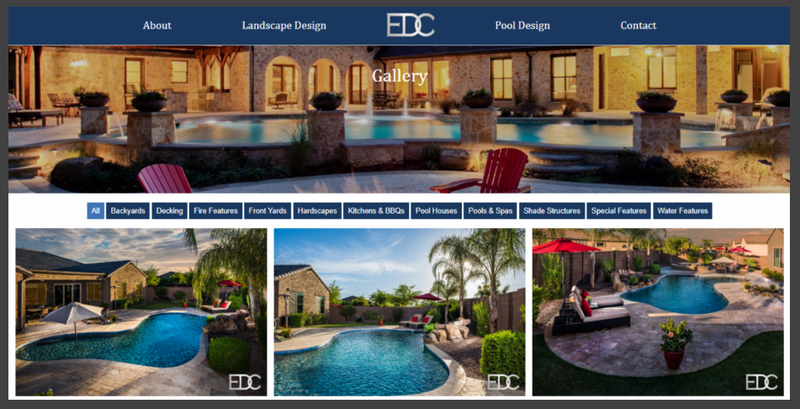 If you are a painter, remodeler, landscaper, or other project-based contractor, it would be a smart move to add a project image gallery showcasing examples of your company’s amazing work. Be sure to use high-quality photos. This will help with conversions and search engine optimization. For home service and construction businesses, understanding audience behavior is key for a well-executed online marketing strategy. Here are some tactics you can use to track visitor behavior, understand where leads are coming from, and stay in front of your audience once they leave your website. Retargeting Pixels On average, only about 2% of your website visitors will convert during their initial visit. Retargeting is an essential online advertising method that helps keep your company in front of the 98% of potential customers that bounce from your site. It is critical to install your retargeting pixels onto your website for both the Google Remarketing and Facebook Retargeting advertising programs so you can start building your retargeting audience as soon as possible. How does it work? When new visitors land on your site, a piece of code that you have installed attaches an anonymous browser cookie. 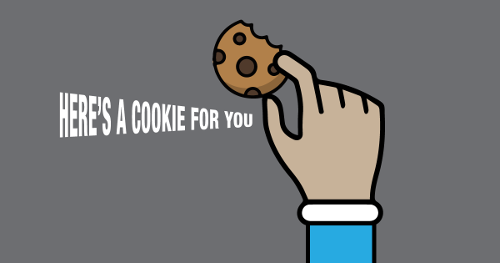 As the visitor browses other areas of the web, the cookie lets your retargeting provider know when to present them with your ads. This way, your ads are targeted towards those who have visited your website. Call Tracking Call tracking software allows you to track phone leads back to their source so you can better understand which marketing tactics are working and which aren’t. Don’t worry… people will still call the number even if it’s different than your current number. Click here to see the Call Tracking System we use for all of our client campaigns. Bonus Tip: In addition to Google Analytics and Google Search Console (both free tools), our preferred all-in-one digital marketing toolkits are SEMRush & Ahrefs. By setting up automated reports, you can get a consistent snapshot of your website and digital marketing performance. We use the reporting tool in this all-in-one digital marketing suite to send automated monthly reports to our clients and more frequent reports for our team with keyword ranking performance reports, organic insights from Google Analytics and Google Search Console, Google Ads data, Social Media Analytics, Site Health Reports, and a whole lot more. Businesses that generate under 5 transactions per week — Create a script, email template and/or text message templates for yourself (and your team) and ask every happy customer for a review. Find a good review management solution for a reasonable price or teach your team to request reviews manually by asking once a job is complete, by sending an email or by sending a text message. Do not take chances with customers you are not sure what kind of review they will leave your company. A quick note about responding to reviews—always respond in a timely and polite manner regardless of whether responding to a positive or negative review. Did you know that 91% of U.S. adults say they like to receive promo emails from companies they do business with (Marketing Sherpa)? 86% of those indicated that they would like to receive emails on at least a monthly basis. If you are a home service professional and are not sending regular email campaigns out to customers and leads, you are missing out in a big way.Not only is email marketing cost-effective, it can generate a ton of repeat business, especially for both service contractors that offer annual or routine services and those that do not. With little effort, you can find an email marketing platform that will help you send consistent newsletters to your email list, which can be segmented into your customer list and your list of prospects not ready to buy. Your Customer Email List – Your customers are the people who know, like, and trust you. They want to hear from you, so make sure to gather as many customer emails as possible who want to hear from you via email. Prospects Not Ready to Buy – The fact is that 98% of people who visit your website do not return, so it’s critical to capture some information from those prospects not ready to use one of your services yet. The best way to do this is to offer something of value in exchange for your prospect’s email address. The prospects who opt-in for your email list have raised their hand and said they want to receive updates from your business — It doesn’t get much better than that. Stay consistent with your sends and focus on delivering incredible value. Email Software Suggestions: If you are planning to send email newsletters only, Constant Contact is the best software for you due to its user-friendly interface, best-in-class deliverability rates and excellent customer service. 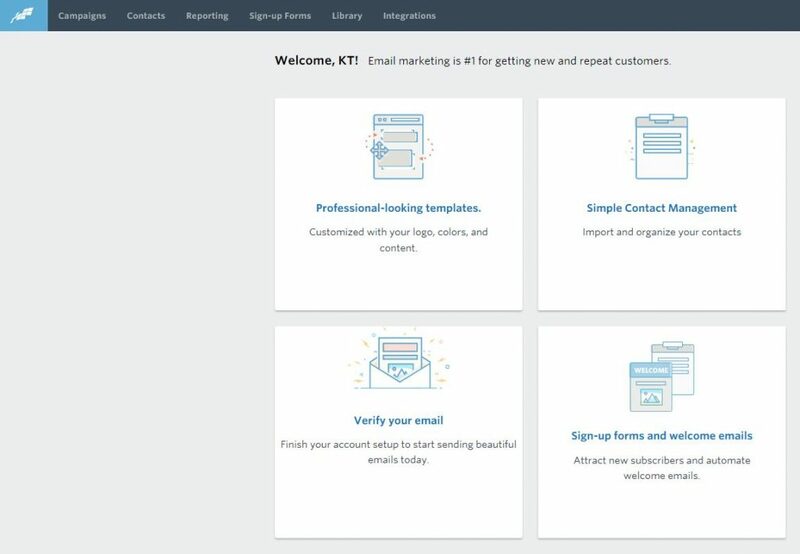 Now if you’re looking to implement more of a sophisticated email marketing and CRM automation setup for your company marketing efforts, then we recommend ActiveCampaign as our preferred stackable email and CRM marketing solution or while we recommend Infusionsoft (now Keap) as our preferred all-in-one email, CRM and shopping cart solution. If you don’t have the time or manpower to do consistent email marketing, there are many professional email newsletter services to help you work smarter, not harder. 93% of online experiences begin with a search engine. Of those online users, 75% never go past the first page of search results. Where does your business currently rank? If you aren’t making it onto to the first page, most of your target audience will never even see you.SEO is how you optimize your content for search engines so you can rank more favorably on search engine results pages. Fortunately (for you), most small service businesses don’t have optimized websites, leaving the door open for you to edge out your competition using the latest SEO techniques. Read on to learn many of the methods we use to get our clients first page rankings for key search terms. 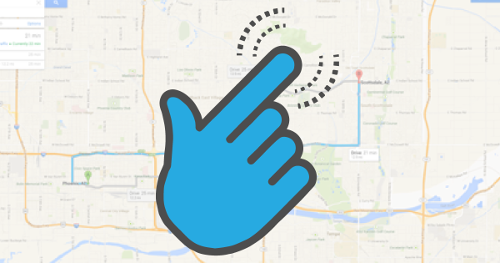 Hyper-Local Service & Location Combo Page DevelopmentYou’ve probably heard of local SEO, which is focused around optimizing for certain cities or regions. Hyper-local SEO takes it a step further, targeting neighborhoods, streets, towns, and even areas near recognized landmarks. 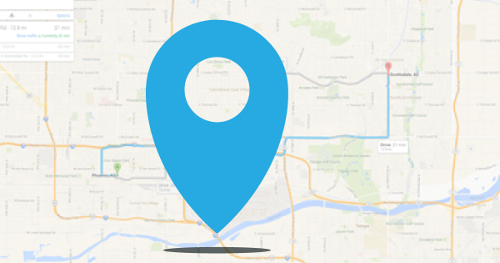 We recommend adding location modifiers to your website, including city, county, state, country, neighborhood, etc. On-Page SEO Set Up On-page search engine optimization helps you point each web page to your most desirable keywords. These are the keywords you want your business to show up for in SERPs. 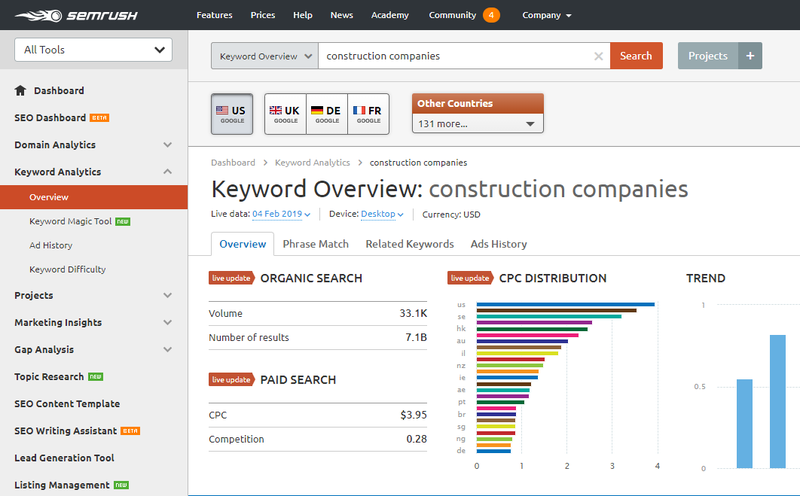 To help you find the best keywords to target, our preferred keyword research tools are SEMRush and Ahrefs. We also recommend installing the Yoast SEO Plugin on your website if you’re using a WordPress website. This is essential for optimizing your website content. Remember, if the user-experience for your website visitors is poor, your site will still suffer from a conversion standpoint no matter how many backlinks you have or if you’re on-page SEO is setup perfectly. The search engines are smart enough to know whether your site provides a good user-experience or not by certain metrics like time on site, bounce rate, and other metrics. Content length—Research shows that there are many SEO benefits to longer content, not the least of which is higher search rankings. The key is to provide as much content as you can making sure that it is relevant and valuable to your audience and keyword-infused for search engines. Use the opportunity to show your expertise and how you stand out from other home service businesses. Embedding multimedia—Images, podcasts, videos, and slideshows are highly sharable and engaging for your website visitors, and they encourage possible leads to stay on your site longer. In short, they benefit your SEO (and potentially your conversion numbers) greatly. Be sure to add the metadata for everything you upload, including videos and images. Name your files so they accurately describe the file and support the content on your post or page. For example, a landscape design image named “img2001.jpg” is not going to tell Google anything. But that same image named “desert-landscaping-arizona.jpg” sends clues to search engines just as keywords in your written content would. Optimize images and video for speed so your rankings aren’t negatively impacted. Social media is an important element that is often overlooked when it comes to digital marketing for contractors. While it does involve an investment of time, these are huge free business branding and SEO optimization opportunities on extremely authoritative websites. 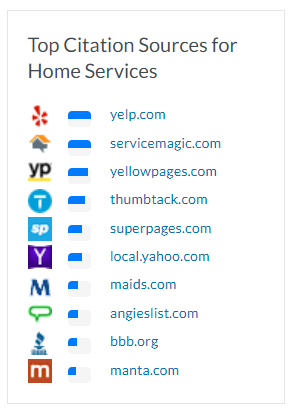 Be smart and set your business up on every one of these sites ASAP. Claim and Optimize Most Important Business Citations in Your Niche by Category: Moz provides a great citation resource to help you find the top citation resources for your business, including construction, contractors, home services, and more. Use a Schema Markup to Boost SEO—Schema markup is a set of code markers you place in the HTML code of your website that tell Google, Bing, and other search engines what to do with your website’s data. This extra bit of code helps your website rank more favorably in search results for different kinds of content by using data markups for products, articles, events, local businesses, reviews, and much more. This tactic is still pretty underutilized, so now is the perfect time to incorporate it on your website to help you increase click-through rates and outrank your competitors. 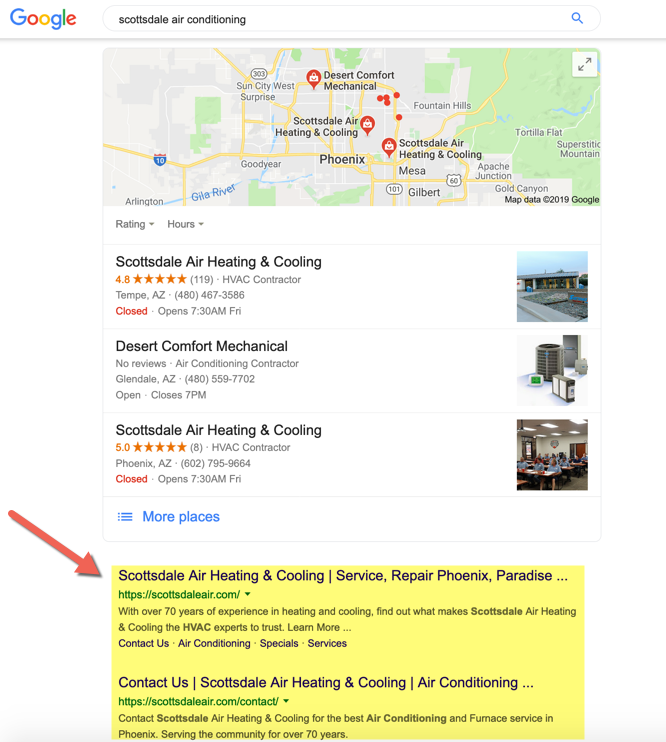 Speaking Google’s Language — By adding schema markup code to your website, you tell search engines how to provide more informative results for searchers. It’s kind of techy, but it’s worth incorporating into your site to provide a better overall user-experience. Some of the most important elements to markup on your website are your business name, address and phone number (NAP). Improve your Organic Ad’s Click-Through Rate (CTR) — This is kind of a big deal. 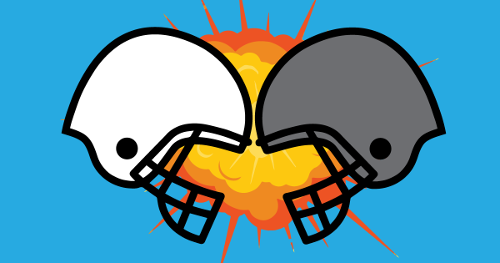 Not all schema markups are created equal. Try incorporating the “Review” Schema markup into your site and watch your click-through rate skyrocket. Check out this detailed post by Neil Patel to learn more about schema markup and how it can boost your SEO. When you are just launching your website (or looking to take it up a notch from a lead generation perspective), try focusing on providing high-value and high-utility content for your target audience. The best place to do this is on your company website in the form of your blog. 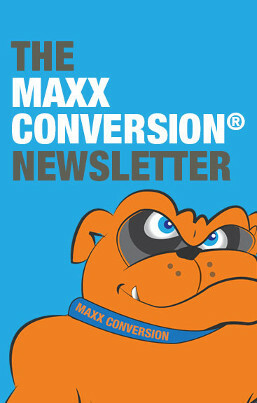 Your business blog is actually a critical component to your online lead generation success. Do your research to determine ten to twenty of the most important topics that would be smart for your company to write a blog post about. These initial blog topics will be (1) the traffic “seeds” that you will be planting online to help drive targeted organic traffic from Google and (2) the marketing assets to use as bait in some of your paid advertising campaigns. This may sound a little advanced. Once you have your ten to twenty topics to write about, you want to determine your target keywords for each blog post. Tip: You only target one keyword phrase per blog post. Be sure to choose your keywords wisely so you actually have a chance to become visible on the search engines. After you’ve determined your target keywords, it’s time to do your due diligence on who you’ll be competing against for each keyword. Focus on the types of results that are showing up on the first page of Google for your target keyword. What type of content do you see? Is there a certain kind of content angle that you can see is proven to work? These are the clues you’re looking for so you can be confident in what kind of information people are seeking when searching your target keywords. Tip: A key factor here is how long the competing content is as content length is proven to heavily impact keyword ranking. Write your content. 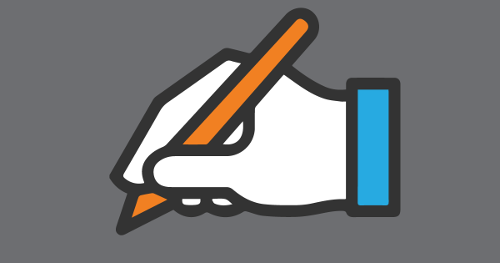 Either hire a writer, assign a staff member who enjoys writing, or write the content yourself. Do not cut corners here. Consider on-page elements such as making the content easy to scan with clear subheadings, adding a relevant image that is not a generic stock image, and providing a clear call-to-action so the reader knows what the next step is. Create a compelling meta title and meta description – this is critical if you want to bring targeted organic traffic to your blog. Be sure your keyword is positioned towards the front of your meta title and somewhere in your meta description. The x-factor is to make sure your title and descriptions are not boring, but rather super enticing in order to maximize the CTR (click-through rate). Determine your publishing schedule and publish your first set of blog posts according to your plan. Share each blog post on all major company social media profiles and accounts. In step five, we talked about setting up retargeting pixels. 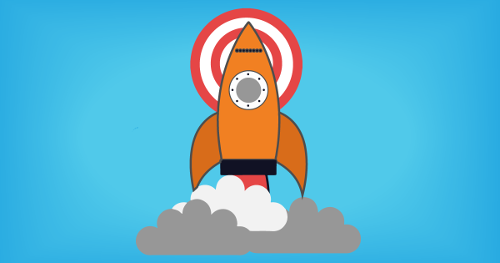 Because around 98% of your website visitors will not follow your call-to-action the first time they visit your site, retargeting campaigns can help you keep your brand in front of them long after they leave your website. Google Remarketing: How does it work? Google Remarketing is a form of ad retargeting that lets you show ads to people who have already paid a visit to your website. When people leave your website without following your call to action, retargeting helps you connect with them again by showing relevant ads as they surf the web or perform Google searches. Facebook Retargeting: How does it work? Someone visits your site and leaves without completing the desired action. While browsing Facebook, they see and engage with your retargeted ads that appear on all device sizes in the newsfeed and the right column section. 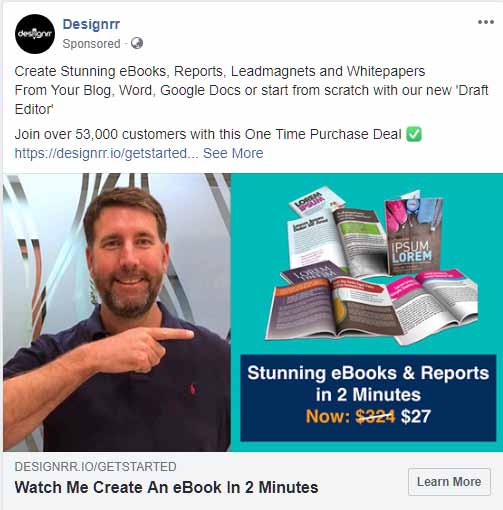 They click on the ad and return to your site to complete the desired action.When you see a Facebook display ad like this, you are probably seeing a retargeting ad. Bonus Tip: Segment your audience by time, behavior, and existing customers to get the best return on your investment. Remember that all of your retargeting ads should click through to a dedicated landing page with the sole focus of having them complete the desired action, whether it is to sign up for a free consultation or quote, schedule an appointment, or complete another specified action. Google AdWords PPC (Pay-Per-Click) Search Campaign: This is direct marketing-focused advertising where you are able to bid on specific target keywords that you would like your business to be visible for. 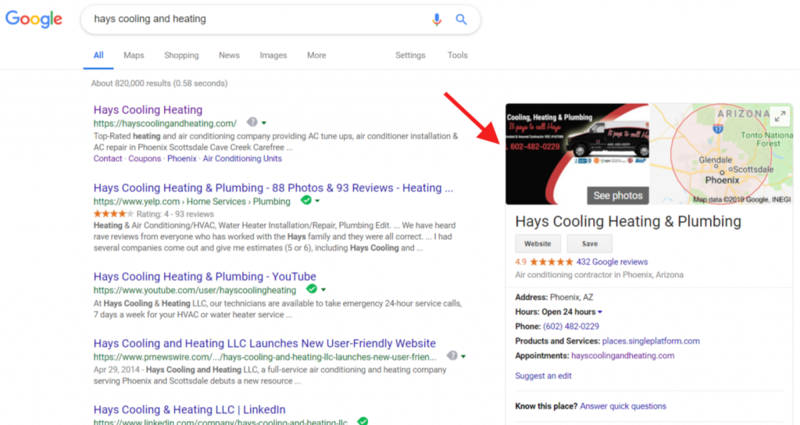 Google Ads display above Google business listings and organic search results as you can see here, making them very prominent to your target audience. Microsoft Ad Center: This is Bing and Yahoo’s version of Google Adwords, except less expensive and with less traffic. It is important to understand that a different demographic uses Bing and Yahoo search engines vs. Google. Typically these users are older and more educated, which can be a good thing if you’re targeting value shoppers. Facebook Advertising: Facebook’s demographic-based marketing platform allows you to target Facebook users in a very granular way based on the likes and interests attached to their Facebook profiles. Advertising Options On Online Channels Like Angie’s List, Yelp, YP.com, and Others: If you’re looking to leverage paid advertising opportunities with online review sites, it’s really important that the company profile you’re sending paid traffic to is set up to convert. This means it has a completed profile with a strong base of positive reviews (twenty or more). If you do not have a good base of positive reviews on the site you’re looking to pay to advertise on, focus on building at least twenty positive reviews before you launch your paid ad campaigns. It will make a huge difference in campaign performance. Fill out each business listing as completely as possible, making sure that you are using consistent address and phone number information for each one because inconsistent business information can hurt your rankings. Google crawls this citation information wherever it can be found (social media sites, local directories, industry directories, press releases, and more). If a site allows you to add images to your profiles, add lots of them, especially if you are a painter, home remodeler, plumber, or other contractor. Prospective customers love to see images of work you’ve completed. The more you fill out on each online profile, the better. This action really does pay off. 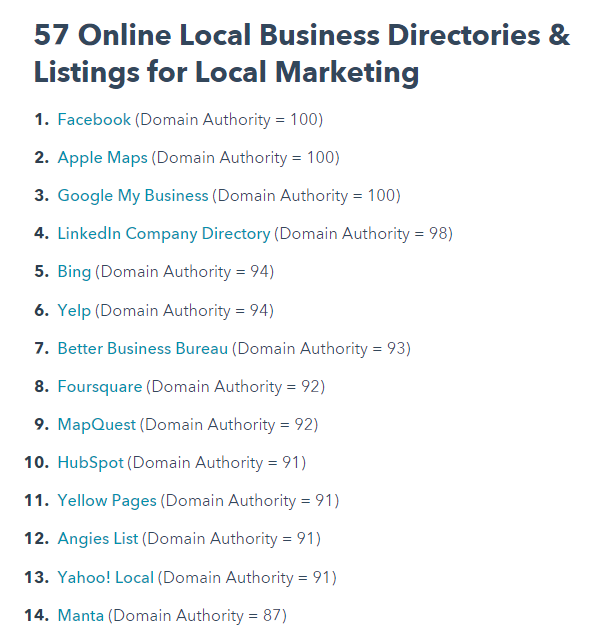 Here’s a list of authoritative online business directories from HubSpot to get you started. Add company citation information (business name, address, and phone number) to all content submitted off your website, if possible. Great places to add your business information are in the descriptions of content published online, such as in a YouTube video description for example; so every time you publish a video to YouTube, be sure to add your company’s name, address and phone number to the bottom of the video description exactly as it’s presented on Google.com. Generate real, authentic reviews from all over the Internet—not just on Google. By using an automated, turnkey online review system to help facilitate the collection and posting of online reviews, you will begin to separate from the pack and establish your company as a market leader in your industry. To get the most benefits from Google Maps, your goal is to get your business to show as high as possible in the list of search results when someone searches using Google Maps. Here are some tips to help you increase your business’s visibility in Google organic search results. Create High-Quality, Shareable Content (Both On and Off Your Website) — High-quality, relevant online content like blog posts, case studies, videos, and the like are great for attracting leads, retaining current customers, and boosting your local SEO efforts. Blog Marketing — Following your initial seed blog posts, continue to focus on providing high-value and high-utility posts for your target audience. Great blog posts are the gifts that keep on giving and your business blog is critical to your SEO success. Video Marketing — Video is the most consumed form of content online, and YouTube is the second largest search engine in the world behind Google.com, who happens to also own YouTube. In fact, video marketers enjoy 66% more marketing leads per year. Because of this, YouTube videos are somewhat simple to place on the first page of Google for target keywords if you know what you’re doing. Press Release Marketing — Get in the habit of announcing important updates or news about your business like winning an award or announcing a special offer or promotion. Press releases are a natural form of content that can help influence website rankings when published on a consistent basis. Being able to create a newsworthy press release once every three to six months would be a simple plan to follow here. Social Media Status Updates — Share interesting and entertaining content (articles, videos, links, etc.) that provides high utility for your target audience. Give your social media following a reason to come back and interact with your business. Share all blog posts, videos, press releases and positive reviews with your social followers. Repurposing Content — When one of your blog posts starts to gain some traction and generates a good amount of organic traffic from the search engines, take this as a cue to start the process to repurpose your blog post by turning it into a YouTube video, a SlideShare presentation, or even a podcast. This is key because you already know the content will be popular based on the performance of your blog post. This can work in the reverse order as well where you take a video and turn it into a blog post, a podcast and more. Remember — When your content is interesting and valuable to your audience and it is promoted properly, more good ‘natural activity’ will happen, such as earning real backlinks and inspiring social activity (likes, shares, comments) which both contribute to improved organic rankings. High-Authority Link Building—This strategy requires strategic outreach via email, social media, and even the phone at times. It’s a tedious task, but on that could pay off tremendously if approached with a proven strategy and a willingness to do a lot of work for very few successes. But when you land those links, the payoff is awesome. Guest Posts—By contributing to popular, authoritative blogs relevant to your industry, you will be able to get your business in front of new audiences that may be interested in following you and/or your business. Social Link Building—By promoting new or updated content on your company social media accounts after you hit the publish button, you are creating natural social backlinks to your content. Brand Name Link Reclamation—When there are mentions of your company either by name, by alternative name, or by business owner name, and the mention is not linked back to your company website, this is considered a missed opportunity. It is very important to get these online mentions updated with links pointing back to your website so consumers of all content can easily learn more about your company. This strategy requires email, social media, and phone outreach. There are several reasons why it’s important to rank more than your website. First, your business will look more credible to potential customers and search engines, which will boost your overall conversion rates for all your business marketing. Second, it will help you squeeze out competitors from first page Google placement, making your home service business the obvious choice for your target audience. Third, it will improve your website SEO rankings and performance. 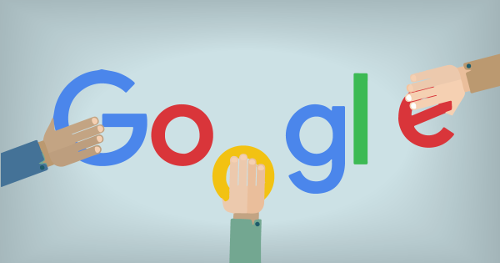 What can rank on Google besides your website? High-Authority websites like Yelp, Facebook, BBB.org, YP.com, and many more allow you to set up a company’s profile that you can strategically get to rank on the first page of Google and the other major search engines that you’d want your business to be present on for profitable keywords. It is not uncommon, if you know what you’re doing, to own 30% or more of the first page of Google search results (three out of ten positions) for your target keywords. Email Newsletters: Plan to send out an email newsletter at least once per month or even bimonthly or weekly depending on what you have to offer. 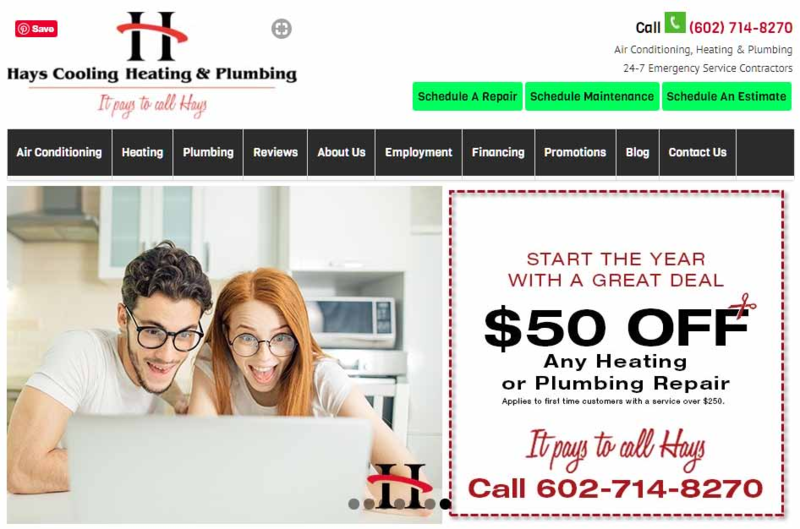 These newsletters are important because they help establish a personal connection with your customers and leads who have provided you with their email addresses. You can share tips, information, links, special offers, and other things that you think they will appreciate. You can also include an expiring business offer to create some urgency for readers to take action, but it should not be the focus of the newsletter. Timely Reminder Emails: Send direct response marketing emails that are meant specifically to remind your email subscribers about expiring monthly specials and promotions. There is one goal for these types of emails—to create a sense of urgency that prompts a specific action. Customer Relationship-Building SMS Messages: These types of SMS messages are focused on building a stronger confidence and trust in your company. Consider sharing blog posts and/or videos that address FAQs and SAQs (should ask questions). Additionally, share company honors, awards, important news, customer praise, partner praise, employee praise, etc. 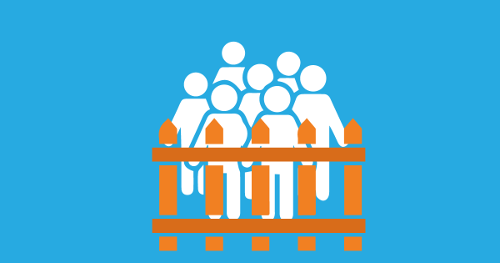 Relationship building through SMS messages can increase the lifetime value of your customers. Timely Reminder SMS Messages: Like direct response marketing emails, these SMS messages have a single focus towards announcing new or expiring monthly specials or promotions to create attention and immediacy, prompting those on your list to take action. Timely Reminder Notifications: These notifications are for announcing expiring monthly specials and promotions and are used to create urgency and give customers a reason to take action. Contractors can use push notifications to remind customers of upcoming appointments or to provide annual maintenance reminders. Friendly, valuable interactions like this are appreciated by customers. Provide Valuable Content: As with email and SMS messages, you can use push notifications to build a stronger confidence and trust in your company by sharing blog posts, videos that address FAQs/SAQs (should ask questions), email newsletters, and other valuable content. You can also share company honors, awards, important news, customer praise, partner praise, employee praise, and more. Social Media Posts Posting on social media is a major part of your content marketing strategy. By engaging with customers via your social media accounts, you can keep existing customers engaged and to strengthen your relationships with them. The better the connection, the better the chance that they will continue to use your services. Coming up with the best social media posting plan for your business is 100% determined by what your target audience actually cares about. In other words, Know Thy Target Market! Make sure you are easy to find on social media. Use as many social media platforms as makes sense for your home services business. Limiting yourself to just one or two networks means missing out on opportunities for you to connect with your customers where they are. To find your ideal platforms, learn where your customers are mentioning your business and stay active on those platforms. Get to know your customers. By learning what is important to them through business interactions and on social media, you can better connect with them, anticipate their needs, and provide information and solutions they find valuable. Provide customer service where your customers are. More and more, customers prefer to engage directly with businesses on social media rather than calling on the phone or sending an email. Sprout Social reveals that 45% of consumers use social media as one of the first channels they turn to when they have issues or questions. Of business brand followers, 57% say they contact businesses via social media to ask questions. Remember, consistency is KEY in developing long-lasting, profitable relationships with your email subscribers, SMS and push recipients, and social media followers. Whether manual or automated, chat software can be a game changer when it comes to website conversions. But it is important to understand that you must implement a solid chat strategy complete with scripts and SOPs (standard operating procedures) for your team to be able to successfully implement chat into your lead generation strategy. When implemented effectively, chat can skyrocket your company’s leads, appointments, sales … even your company reviews. Get started with Pure Chat, an easy to use chat software that is free for up to 3 users. This will give you a great opportunity to get your feet wet with Chat on your website. Email Drip Sequences for Prospects—It is absolutely critical in the online lead generation world to never forget that 98% of your website visitors will not take action the first time they visit your website. Because of this, it is vital to integrate some sort of email lead capture mechanism on your website that allows you to capture targeted prospect emails even though they are not ready to buy quite yet. When you offer something of value like a discount off services in exchange for a prospect’s email address, you now have the opportunity to follow up with those prospects while they are figuring out how to best approach their specific problem. 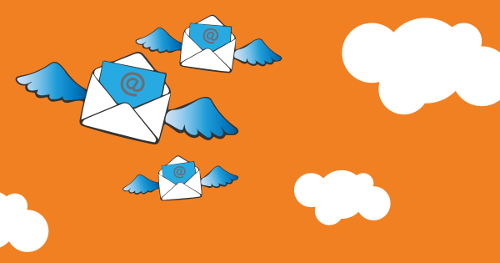 An automated email drip sequence educating each prospect on what is most important when determining how to best solve their current problem can be highly effective. Of course, a smart play would be to highlight how your specific services provide a solution. By simply creating a seven (or more) day automated email sequence with a strong call to action, you are creating a sales system that will deliver every time a potential customer follows your desired action (opts-in for your free giveaway, schedules an online appointment, requests a quote on a project, etc.). Email Drip Sequences for Customers—Use email automation to upsell your construction or home services to current and past customers. Email Drip Sequences for Referral Partners—Use email automation to remind referral partners how great you are at what you do by sharing testimonials and case studies with them after you meet them at some sort of event or in the field. ? SMS Text Sequences For Prospects—The fact is we open all of our text messages and we open them fast. You can easily implement an automated SMS text message campaign to help turn prospects into customers by offering some sort of enticing discount or special for new customers or clients. SMS Text Sequences For Customers—Use SMS text messages to upsell current and past customers to more services. As a contractor, you probably have a million things going on, which leaves you little room in the day to tackle the time-sucking vortex that is social media. Luckily, there are tools out there to help you manage your social media efforts, schedule posts and drip campaigns, and see important social media metrics so you know what is working and what isn’t. We recommend using Agorapulse to help you stay on top of things. Developing a winning digital marketing strategy for your construction or home services business is not a one-and-done deal. It takes time, effort, and experimenting with a wide variety of different campaigns to see what resonates most with your target audience. 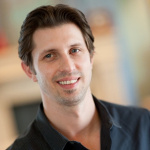 This is how you get the best return on investment for your marketing dollars. Above all, test, test, and test again. You may think you’ve come up with the best offer ever, but it’s really the consumer that makes that decision. As tempting as it is to skip over the testing process, it is not advised. 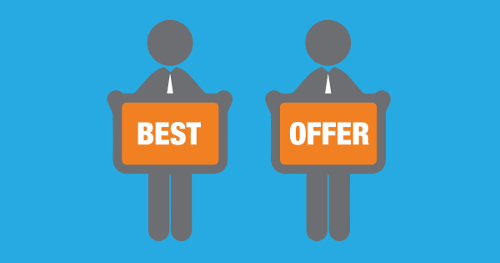 The chances of your first attempt at creating a winning offer are slim-to-none. Nothing against you and your skill level, but all offers need to be developed based on data to ultimately determine your winning offer. Oh, and guess what? All offers will most likely go lame. So be on your toes and be ready to continue to improve your offers as time passes on. Keep a close eye on your competition to see how they’re adjusting in your niche so you can be one step ahead of them. Finally, remember that optimization is key! The practice of making things work better is how you maximize your opportunities and get the most bang for your buck.Work hard to trim the fat in your digital marketing campaigns. For example, with your Google Ads campaigns, be sure to kill those keywords that aren’t performing for you … meaning they’re not producing any conversions. There are other ways to optimize your Google Ads campaigns, like day parting, geographic targeting, device targeting, and a whole lot more.For your social media marketing campaigns, study the analytics to determine the most popular posts, offers, and content, and adjust your social media strategy accordingly. The same goes for your email marketing and other marketing channels.Get good at optimizing. If you’re not good, hire someone who is like Online Visibility Pros (schedule your free strategy call here). There you have it—the exact blueprint we use at Online Visibility Pros to amplify leads for our contractors, home service companies and construction business clients time and time again. And now it’s time for you to build the lead generation machine your service business needs in order to thrive now and long into the future.If you want to see what it would be like to have Online Visibility Pros handle a lot of this for you, schedule your complimentary, 30-minute strategy call here. To us, every part of your online marketing strategy—from SEO, PPC, content creation, email marketing, social media, your website, gathering online reviews—has to work together to deliver value to your customer. This is the key to lasting results. At Online Visibility Pros, we’ve already done all the hard work, made all the mistakes, and figured out what works (and more importantly, what doesn’t). That’s why we’re so careful to document every step of the process; so we can turn it into a simple, step-by-step plan that’s repeatable (our blueprint). In the past, we would only offer strategy sessions only to our private clients who were spending at least $36,000 per year to get more high-quality leads, appointments, and sales from the Internet for their service business. But now we’re making a few of these coveted strategy sessions available to the public. Normally we charge $250 for each strategy session, but for a very limited time you can gain access to this value packed one-on-one strategy session by simply filling out the Strategy Call form today. Schedule a complimentary 30-minute strategy call with one of our head Online Visibility Pros who has experience building highly profitable digital marketing campaigns for businesses like yours. Discuss the ways you are currently generating leads for your business and what your goals are moving forward. Our digital marketing expert will recommend specific techniques and strategies to help you achieve your goals. Don’t worry… you won’t get “pitched” during your call. While we will let you know how Online Visibility Pros can partner with you to execute the profitable marketing solutions we suggest during the call, the focus is to make sure you have actionable steps you can take to be more successful in your online marketing efforts—whether you team up with us or move forward on your own. We have opened up a few hours a day, from 11am to 3pm MST (Mountain Standard Time) Monday through Friday, to talk with contractors and home services business professionals like you about bringing in new leads and converting those leads to paying customers. After you schedule your strategy call time here, our team will review your submission to ensure you are not in conflict with any of our private clients. As a business owner, you are pulled in a hundred different directions in the course of the day and probably don’t have time to dig into the details of planning and executing a winning digital marketing strategy. We get it. 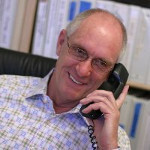 At Online Visibility Pros, we are dedicated to helping hard-working contractors and business owners succeed with proven online lead generation tools and techniques. Get in touch with us today to learn more about how we can help your business grow. Over a period of about 3 to 4 months, our website has gained traction and we're getting calls on a weekly basis that we're able to convert into profitable jobs. Thanks Online Visibility Pros! 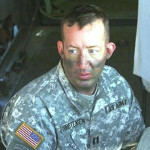 We have retained Online Visibility Pros to help us with search engine marketing and social media marketing. They started with a deep analysis of our web presence, our competition and created a plan which they are currently implementing for us. If you want a complete, step-by-step system to build your own Unstoppable Lead Generation Machine, check out OVP’s Unstoppable Lead Generation Blueprint PDF here. If you don’t already have a domain, secure a brandable domain name from Namecheap (comes with free Whois guard subscription forever). A fast, reliable hosting solution with great customer support is a must. On the low-end, we recommend clients to Host Gator. 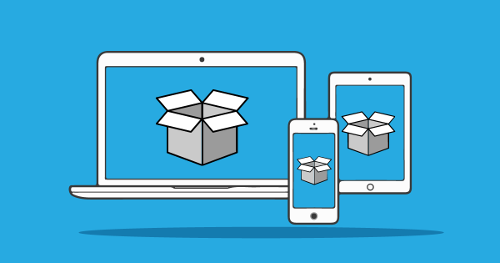 For premium hosting including managed hosting, we recommend Liquid Web (it's what we use). A premium WordPress theme – we use the Genesis framework by StudioPress (also what we use). ThemeForest is another excellent option to find premium WordPress themes. Image & graphics from DepositPhotos (all legal and licensed). If you want to outsource your graphic design projects to a trusted 3rd party vendor, we suggest Design Pickle. Original content from professional writers at Upwork. Google Remarketing (on Google Ads platform) and Facebook Retargeting (on Facebook) campaigns. Automated social media drip campaigns from Agorapulse. Review management software system to automatically request and collect more customer reviews. 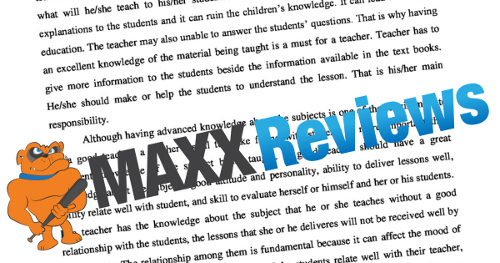 We set all of our clients up on our own Maxx Reviews software. An email marketing platform to send consistent customer newsletters out to your email list – Constant Contact is what we recommend if you send email newsletters only because of best in class deliverability rates and beautiful newsletter templates. 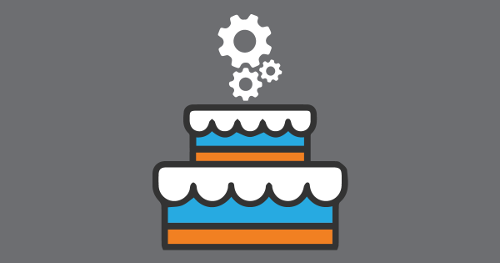 For a more sophisticated email and CRM marketing automation, we recommend two platforms: ActiveCampaign or Infusionsoft (now Keap). Free website analytics tools – Google Analytics & Google Search Console. All in one digital marketing toolkits (SEO, PPC and more) are SEMRush & Ahrefs. SEO and niche influencer CRM software, Ninja Outreach, for easier link building and content promotion. Trackable phone numbers with Call Tracking Metrics to know exactly how many leads came from a website. Free chat software with Pure Chat for your first 3 users. You can always refer to our free digital marketing case studies here for additional inspiration.